If You Love Pizza, Lowell is Your Place! 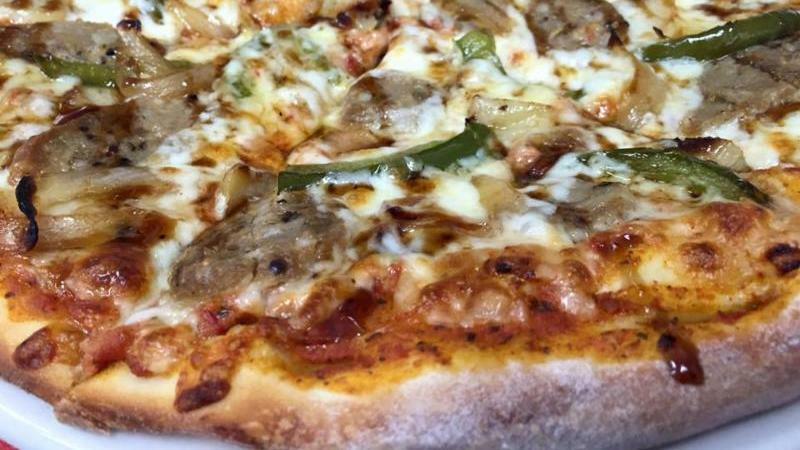 Nothing is as satisfying as a hot pizza fresh from the oven when you're hungry. Whether you prefer a classic or gourmet pie, the oooey gooey cheesy deliciousness of pizza is hard to beat. Thankfully, Lowell, with its many spots, doesn't disappoint. In fact in Lowell we make pizza an art form. Warning: mouth watering content ahead! For a directory of pizza places in Lowell please click here! You don't expect your mouth to start watering when you walk into an art gallery, yet this is exactly what happens when you set foot inside UnchARTed Gallery on Market Street in downtown Lowell. While their menu offers a delicious variety of sandwiches, soups and salads, the pizza really stands out from the rest. The Mushy Goat comes topped with marinated mushrooms, spinach, goat cheese and garlic olive oil. Another great choice is the Evil Piggy. A spicy pizza topped with pulled pork, ham and bacon, drizzled with cilantro and avocado buttermilk ranch. Can't go wrong. Fabiano's Pizzeria and Cafe is a cornerstone in the Lowell community and has been recognized for its outstanding Pizza cuisine, excellent service and friendly staff. The Prosciutto Arugula (a pizza with tomato sauce, mozzarella, prosciutto and baby arugula) is a must, but so are the calzones and house specialties. The casual seating area is perfect for a quick bite, but if you want pizza to-go, order online and pick up a fresh pie in store. Espresso Pizza is a Lowell institution. This family-owned pizza joint serves an amazing variety of pies and slices including breakfast pizza, Hawaiian and meat pie. They still continue to use the original recipe for the pizza dough and pizza sauce since first opening the doors in 1962, which is what makes Espresso so unique. The combination of the "sweet" tomato sauce and the saltiness of the cheese makes for an incredibly tasty pizza, a favorite of locals and visitors alike. Serving Lowell and the surrounding areas, Phoenix Rising Pizza is a family owned and operated wood fired mobile pizza truck that turns out delicious Neapolitan-style pies. They make all of their pizzas with traditional ingredients such as tomatoes, flour, olive oil and cheese all from Italy. The wood fired oven gives it that signature crispy, bubbly texture, perfect to pile on a load of specialty toppings. Their hours and locations are always changing so please follow them on Facebook to get the weekly schedule. Newer PostValentine's Day...lots to love!